very easy & yummy dish to perpare in less then 20 min. Kids love it coz it's not very spicy & it has a very nice smell of green chili in it. 6-7 whole green chilie( just cut the top part). fry until the yoghurt is belnded well in the curry no curdle should appear. 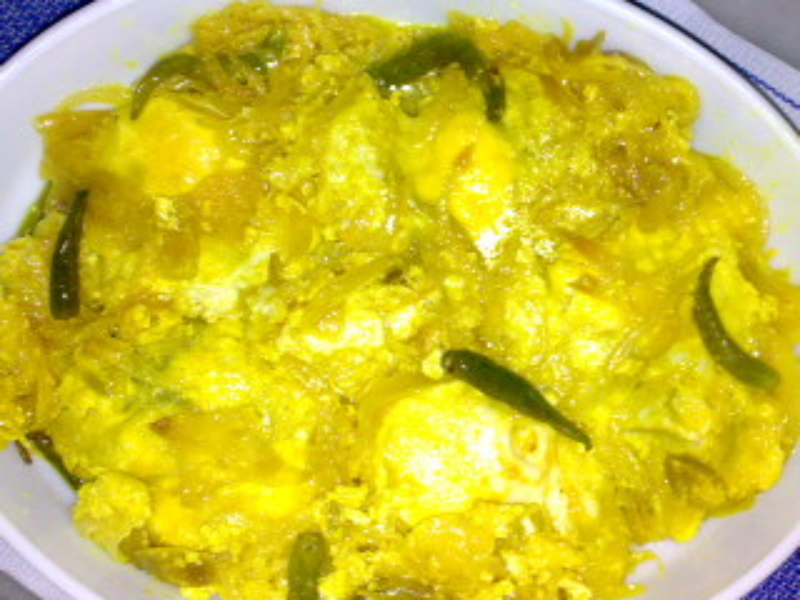 break in eggs one at a time & put them in your curry( just don't put them all together), like poched egg. don't stir it at all,let it cook on it's own. Lower the heat.Once the egg becomes poched & firms up, let oil float on to with light gravy add in the green chili & cook over low heat for 2 min. remove from heat & serve with boiled rice or hot naan. Yes you can but it will not give you the same taste. thanks.